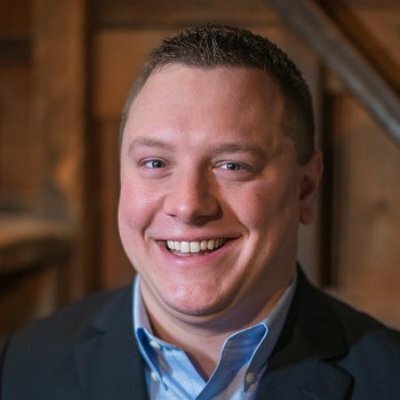 For today’s Q & A, we’re publishing our chat with John Marcus III, a seasoned sales leader with experiences ranging from Hubspot to his new company Bedrock Data that’s tying together all of the tools modern sales teams need to use. We use a blend of activity, MRR production and skill development for many of our sales reps. Because we have such a new sales squad, we are focusing heavily on product knowledge and sales skill in conjunction with sales productivity. Lead generation is critical to just about every business out there, and our organization is no exception. We rely heavily on inbound and outbound leads to drive our sales cycle, so making sure we have enough leads to go around is our number one priority. Both sales and marketing have quotas (for leads and sales, respectively). Today, we do not have a quality measurement by which to measure the marketing team, although we certainly have the data to do it. When we see the closing rate dip on a particular offer or batch of leads, we make sure to look into our source data and inspect what marketing can do to increase lead quality. Our team measures all new projects and activities in “experiments.” Each experiment might take a week or two to plan out, another month to run, and a week to analyze. In the end, we want to make sure we have 5-10 experiments going on between sales and marketing at any given time. We decide on our metrics up front (CAC, LTV, ASP time-to-profit, etc.) so we don’t change the measurements mid-experiment. Sales ops plays a critical role for our teams. We need to not only keep the reps up to speed with the product (which is constantly evolving) but also make sure they have the most up-to-date information from across all of our organization. For example, a rep can see what actions a lead has taken in our product, along with any support tickets they might have outstanding and what pages they have seen on our website. Sales technology is critical to our business. Due to the intrinsically technical nature of our product, we need to know what software businesses are using when we put together a prospecting list. We have an unfair advantage because we are ourselves an integration company, however we utilize a combination of technology detection (Datanyze, etc.) along with cold lead (Zoominfo) and warm lead (HubSpot) data sources. John Marcus III is the CEO and Co-founder of Bedrock Data. Bedrock Data is an integration and data management platform that let’s users create powerful, yet affordable integrations between their business systems. Prior to Bedrock Data John worked at Hubspot, the world’s leading inbound marketing and sales platform. He held roles ranging from Inbound Marketing Specialist, to Outbound Manager, and Sales Hacker. You can find him on Linkedin here.